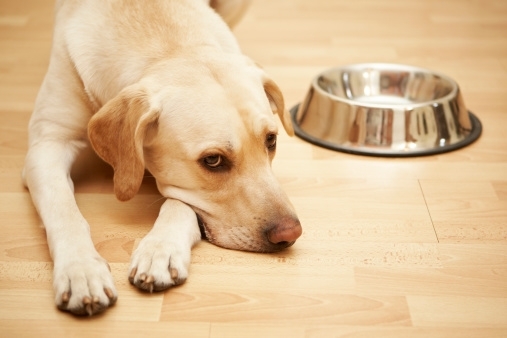 Editor’s note: Last week, Dr. Katy Nelson gave us five tips for choosing the right pet food. Now, she is back with the second part of her mini-series on feeding your pet. Approximately 50-60 percent of household pets in the United States are overweight or obese. This is largely due to the over-consumption of commercial diets. Reading the caloric content of commercial foods can be intimidating due to the verbiage used on pet food labels. It is often much easier to view and interpret nutritional information on the pet food company’s website. Remember to reduce the recommended caloric intake by approximately 25 percent for spayed or neutered pets to maintain an appropriate weight. For cats, consuming at least 50 percent of their daily caloric requirement in the form of canned food has been shown to help them maintain a healthier weight and a healthier urinary tract. This is due to the higher protein and water content in canned foods as compared to dry foods. Cats are obligate carnivores, so they do not metabolize carbohydrates efficiently. The average cat is going to be healthier on a higher protein, lower carbohydrate type diet. Always discuss diet changes with your veterinarian before implementing a new routine. When feeding a complete and balanced commercial diet, nutritional supplements such as vitamins, are not usually required. However, pets of an advanced age, with certain disease conditions or of particular breeds, may benefit from dietary supplementation. Talk with your veterinarian to see if supplementing with additional antioxidants, fish oils, or joint supplements may improve your pets’ health. Finally, any time you make the decision to change your pets’ diet, do so slowly. Aim for a 7-10 day transition where you slowly add more and more of the new diet and slowly take away the old diet until your pet is completely switched over. By doing this, you should be able to avoid any gastrointestinal upset that would be expected with an abrupt change.